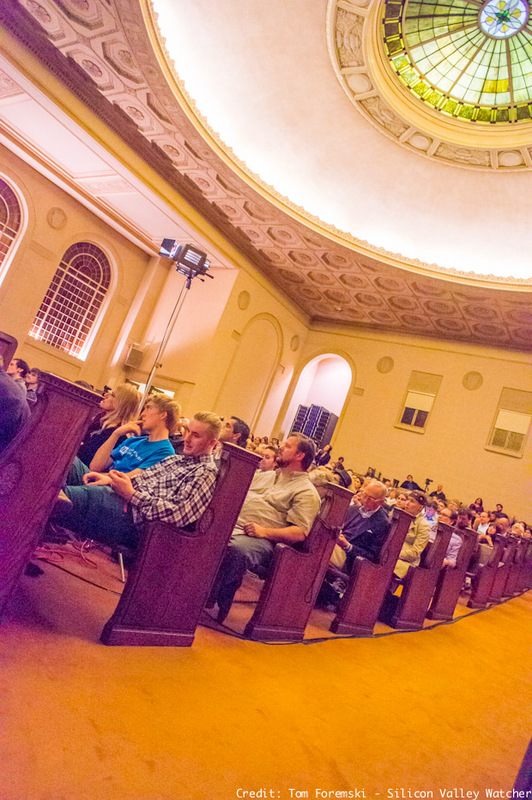 The Internet Archive is housed in a wonderful San Francisco building that used to be a Christian Science church. 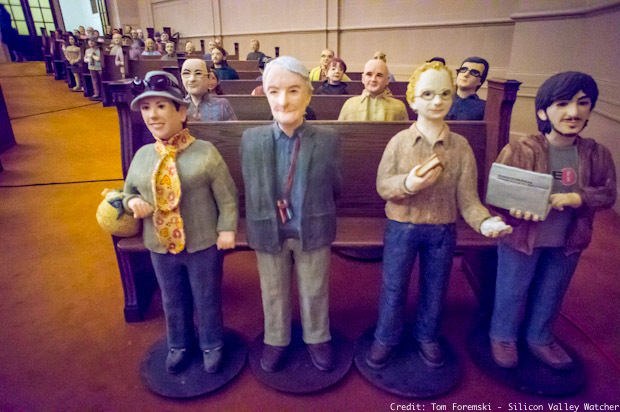 In the pews along both sides of the large, skylight-lit auditorium, there is always a congregation: half-sized ceramic figures representing 100 "archivists" -- people that contributed at least three years of service to the non-profit organization. A recent reception honored Nuala Creed (above), the California artist, who created the figures over a five-year period. 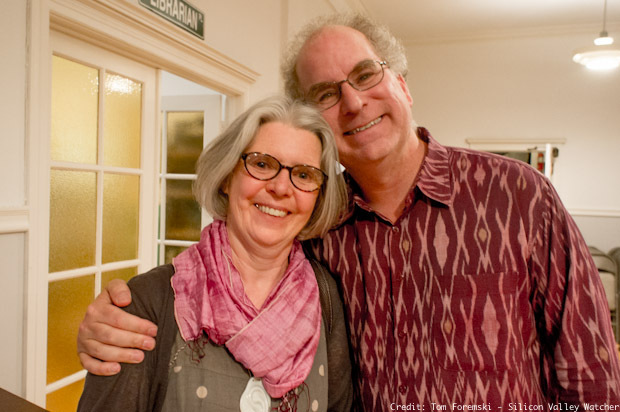 They were commissioned by Brewster Kahle (above), founder of the Internet Archive, following a visit to China and seeing the famous terra cotta warriors. 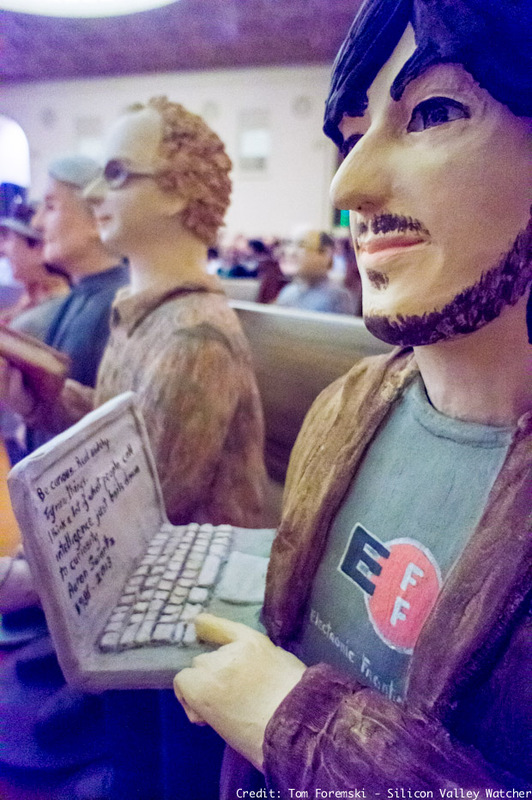 The 100th ceramic figure is that of Aaron Swartz (above), a brilliant young software engineer, co-founder of Reddit, and political activist, who took his own life last year following prosecution by the US government. It stands in the front pew next to the figure of Brewster Kahle. Be curious. Read widely. Try more things. I think a lot of what people call intelligence just boils down to curiosity. Founded in 1996, the Internet Archive has an historical web collection (the Wayback Machine) of over 150 billion web pages, about 240,000 movies, over 500,000 audioitems (including over 70,000 live concerts), over 1,800,000 texts, 1600 education items, and over 30,000 software items.